Why is the federal government so obsessed with grabbing more land? After all, the federal government already owns more than 40 percent of the land in 9 different U.S. states. Why are federal bureaucrats so determined to grab even more? Well, the truth is that this all becomes much clearer once you understand that there is a very twisted philosophy behind what they are doing. 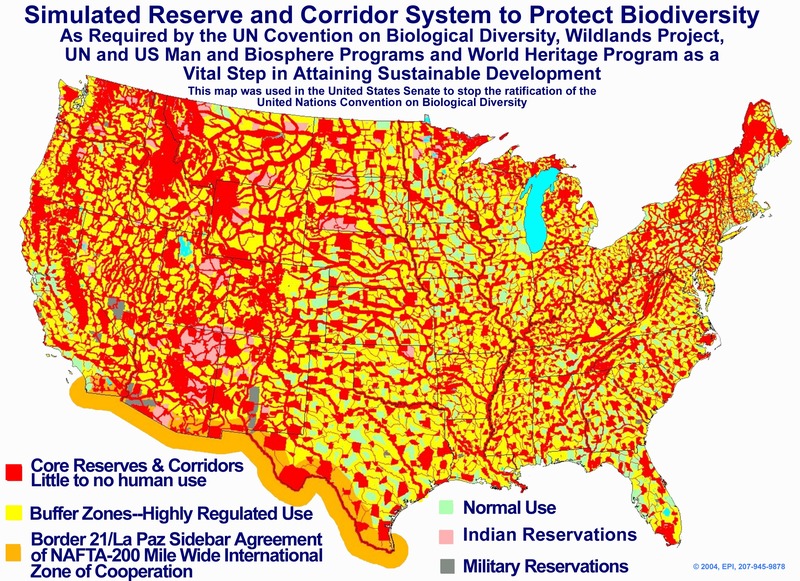 It is commonly known as “Agenda 21″, although many names and labels are used for this particular philosophy. Basically, those that hold to this form of radical environmentalism believe that humanity is utterly destroying the planet, and therefore the goal should be to create a world where literally everything that we do is tightly monitored and controlled by control freak bureaucrats in the name of “sustainable development”. In their vision of the future, the human population will be greatly reduced and human activity will be limited to strictly regulated urban areas and travel corridors. The rest of the planet will be left to nature. To achieve this goal, a massive transfer of land from private landowners to the federal government will be necessary. So the conflict between Nevada rancher Cliven Bundy and the BLM is really just the tip of the iceberg. The reality is that the BLM has their eyes on much bigger prizes. Does the federal government actually need more land? The federal government does not need more land. But there is an obsession to grab more so that the dictates of Agenda 21 can be implemented. If you do not go along with the “sustainable development” agenda, you risk being labeled a “threat” to be dealt with. For example, Senator Harry Reid has used the label “domestic terrorists” to describe those that showed up to support Cliven Bundy at his ranch. Reid could have used lots of other labels. But he specifically chose to call them terrorists. And considering what the law allows the feds to do to “terrorists”, that is quite chilling. Do any of those criteria apply to you? If so, then you are a “potential terrorist” according to the U.S. government. This was not what our founders intended. Our liberties and freedoms are being eroded a little bit more with each passing day, and most Americans don’t even seem to care. In the end, we will pay a great price for our apathy.